After a very long time sitting in Bubba's Garage, we came to the conclusion that our 1963 Cadillac Hearse known as "Hearsela" would never get restored. Lack of time was the biggest issue. We sold her and she is now headed for the West coast. 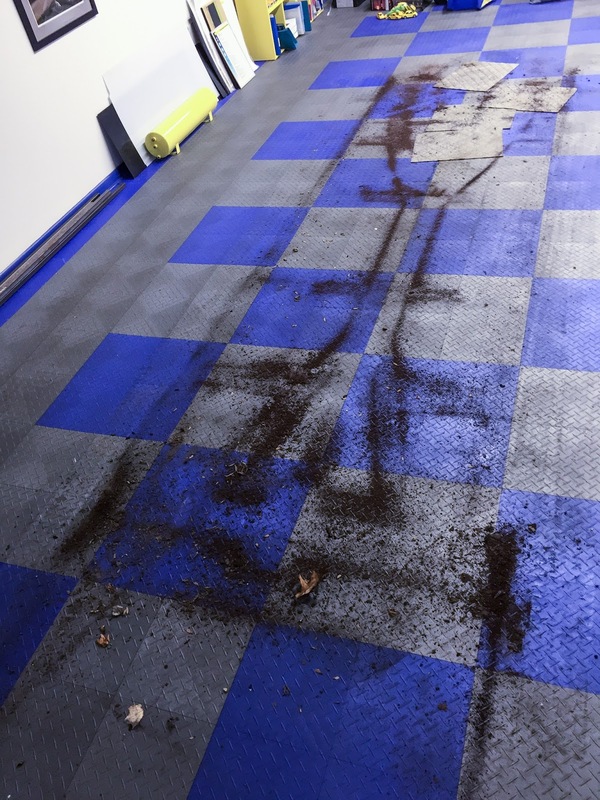 She left her mark on the garage floor; you could see the entire x-frame from where rust had fallen to the floor. Anyone have a tissue? I think I might cry.